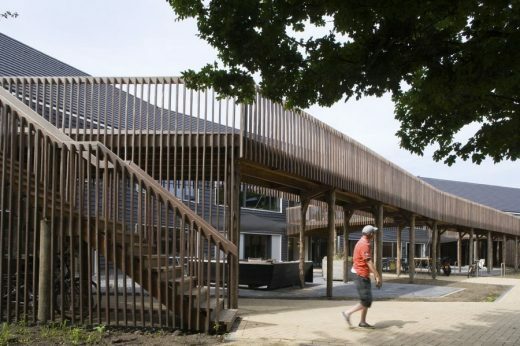 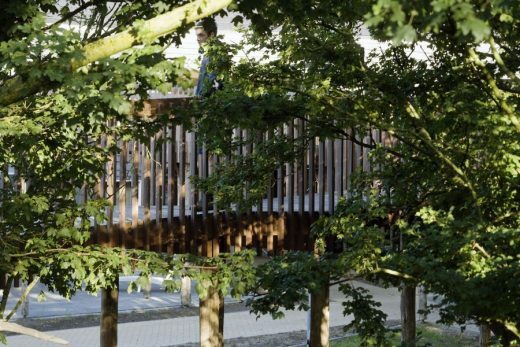 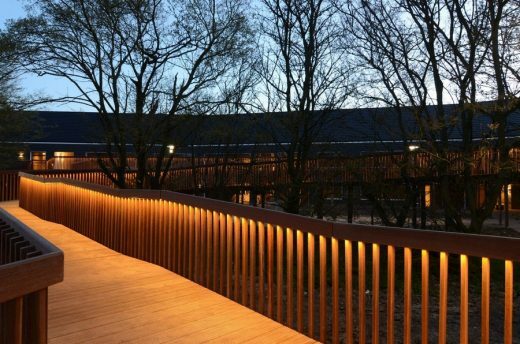 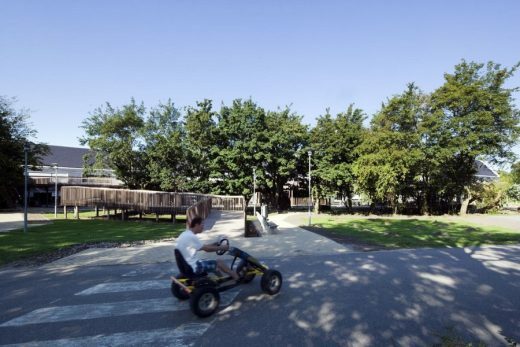 This two-storey, 110-meter long residential centre for people with mental disabilities has been designed in close conjunction with an existing tree structure. 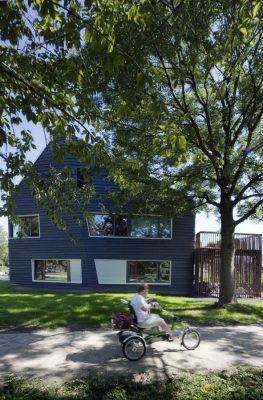 The resulting zig-zag shape visually divides the building in smaller, human-scale areas, thus avoiding the perception of an institution. 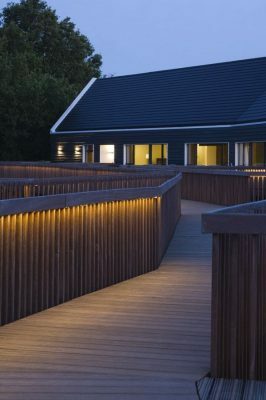 Slowly rising between the trees, a structure of wooden boardwalks accesses the dwellings on the first floor, providing it with a secondary landscape with a unique quality of its own. 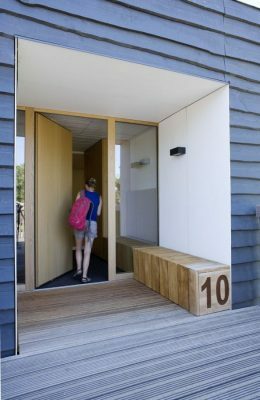 Every-group dwelling has its own entrance, with integrated sitting benches marking the transition between outside and inside. 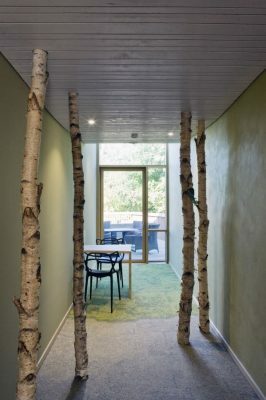 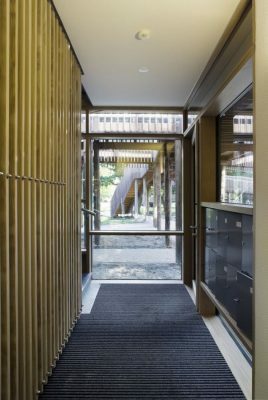 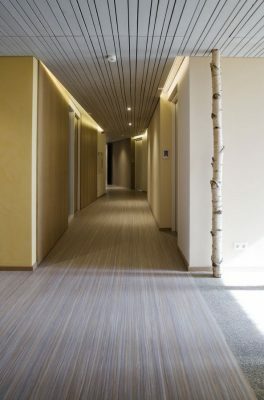 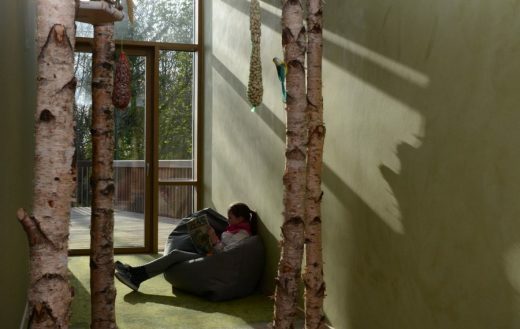 They are inviting residents to linger and interact with others, as do the retreating zones inside, featuring moos-clad floors and birch trunks. 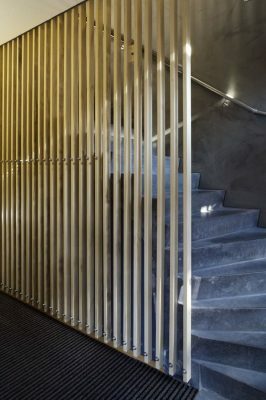 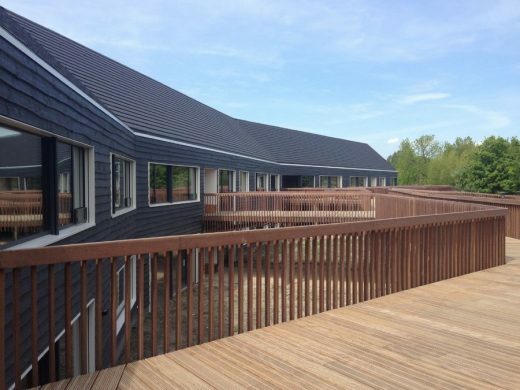 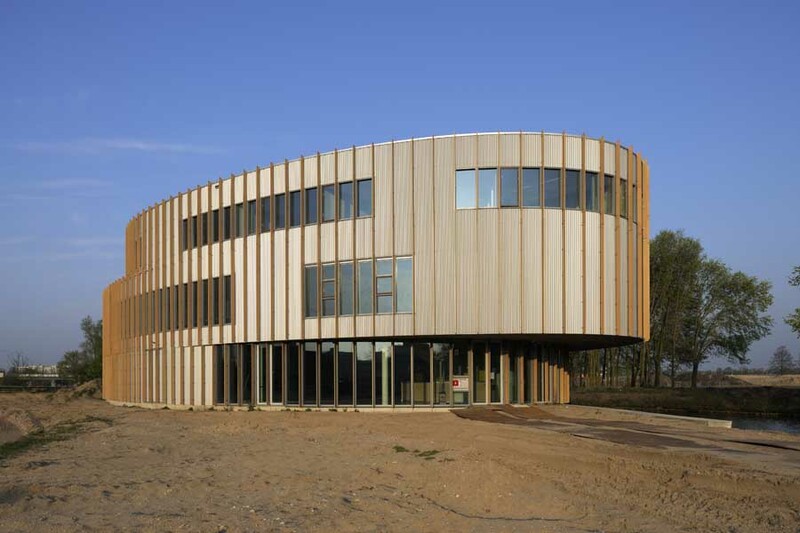 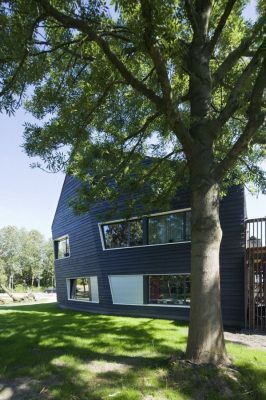 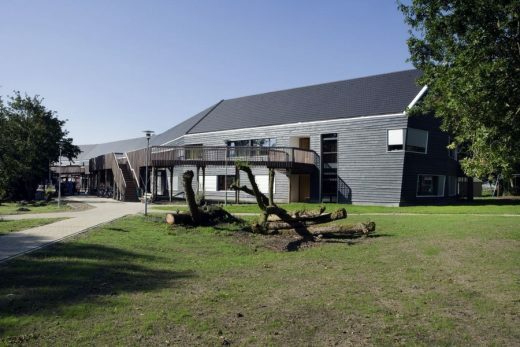 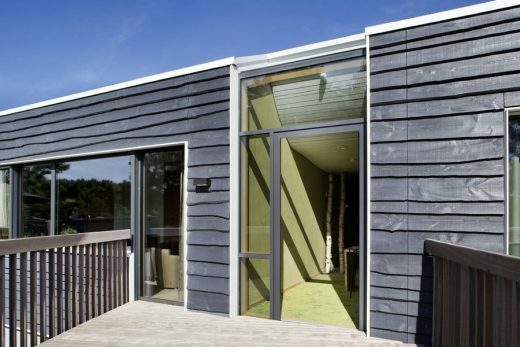 The materials of the building are reflecting the rural setting in the wetlands of Holland and are providing the inhabitants with rich sensory experiences. 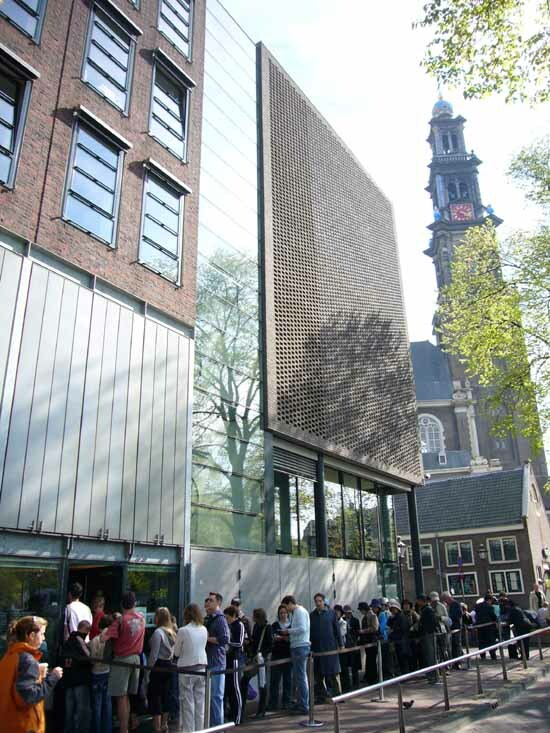 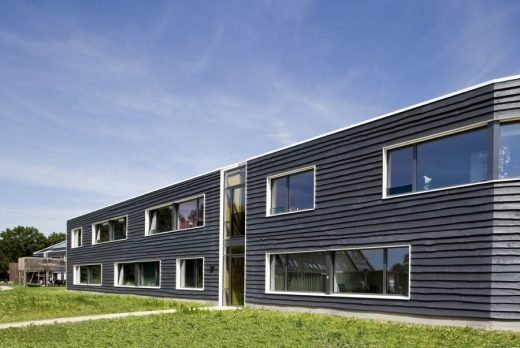 The dark wooden siding of the facades are in strong contrast with the white frames around the windows. 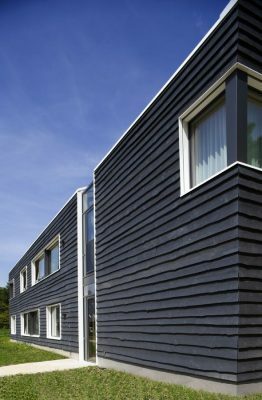 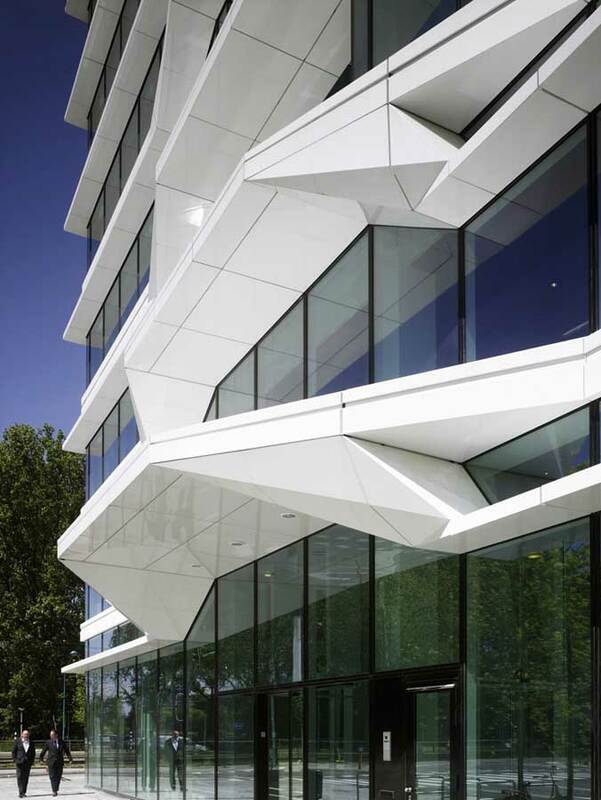 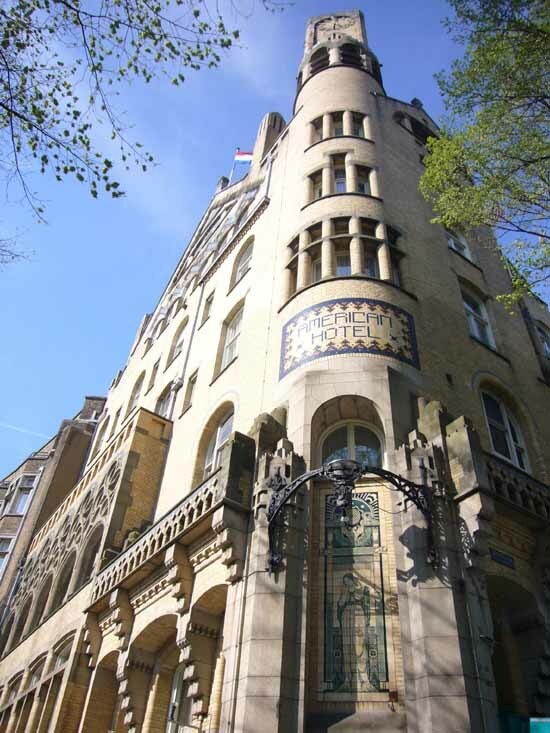 Traditionally, due to the cloudy climate, this contrast has been used often to lighten up facades. 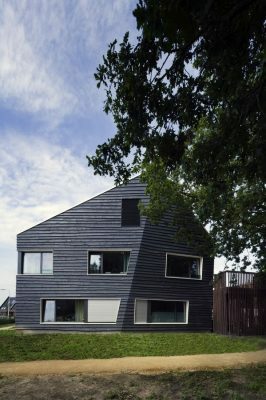 The gable roofs empasize the association with traditional houses, steering away even further from an intitutional image. 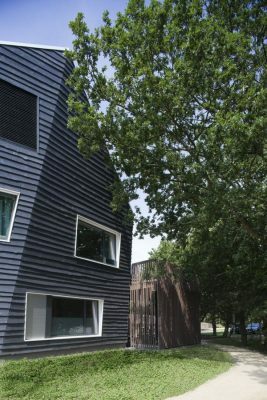 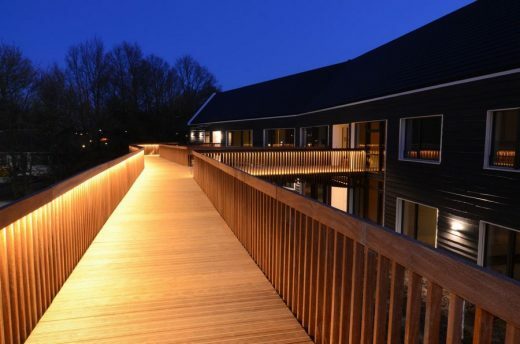 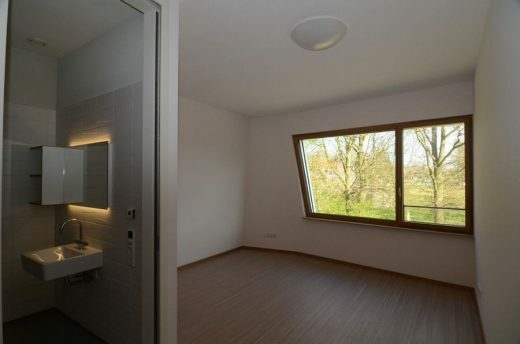 By using wood, natural insulation along with solar cells and ground source heating, the building is fully ecological, technically keeping with its natural architecture.